SOCCER: It will be young soccer talent time at the Clinton Sports Complex tomorrow from 9am. 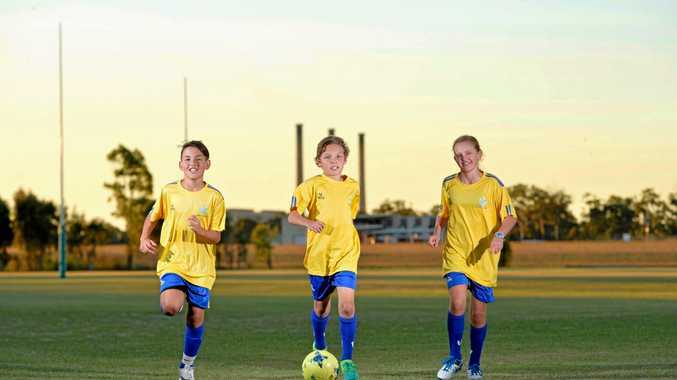 It is the first round of the Community Representative Carnival, which will have 21 teams that will include 315 boys and girls aged from 11 to 15 who will represent Gladstone, Biloela, Capricorn Coast, Emerald and Rockhampton. Clinton Football Club juniors president David Lederhose said the standard would be high. "(They have) the opportunity to train with higher level players over a seven-week period and play against the best community players from the central Queensland zone,” he said. He said the Gladstone under-11 development team would be one to watch. "The team is coached by Suren Raghoobar and they have some great young talent with the likes of Arian Raghoobar and Adam Davis,” Lederhose said. Newly appointed Football Central Queensland general manager Jim Douglas expects some quality games. "I would expect the Gladstone and Rocky teams to be the strongest, especially the under-15 boys from Rockhampton and the Gladstone U14 girls to do well,” Douglas said. Lederhose, Darryl Edgerton, Michael Hogg and David Crook have put in countless hours toward an event supported by FCQ and sponsored by BlueScope Steel. "This year there's five and it will provide opportunities outside the traditional weekend fixtures for players to improve their game,” Douglas said. Douglas also said the coaches had the chance to get ideas from each other. The second and final round of matches will be played in Rockhampton on July 9.